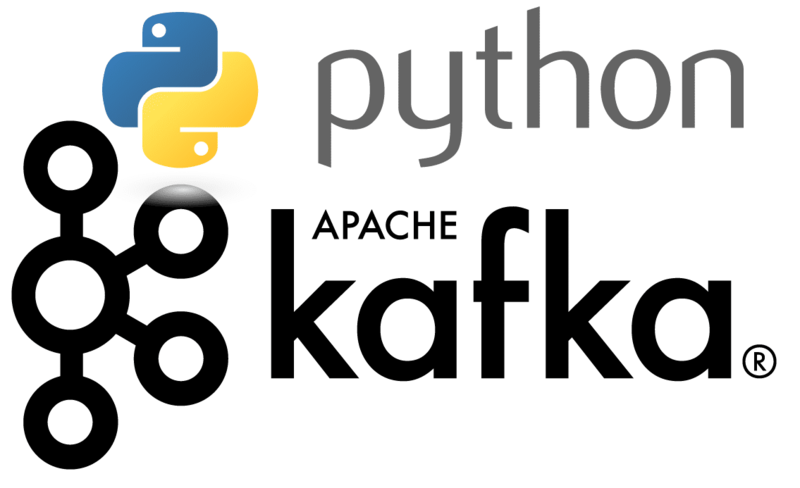 In this post, I am going to discuss Apache Kafka and how Python programmers can use it for building distributed systems. 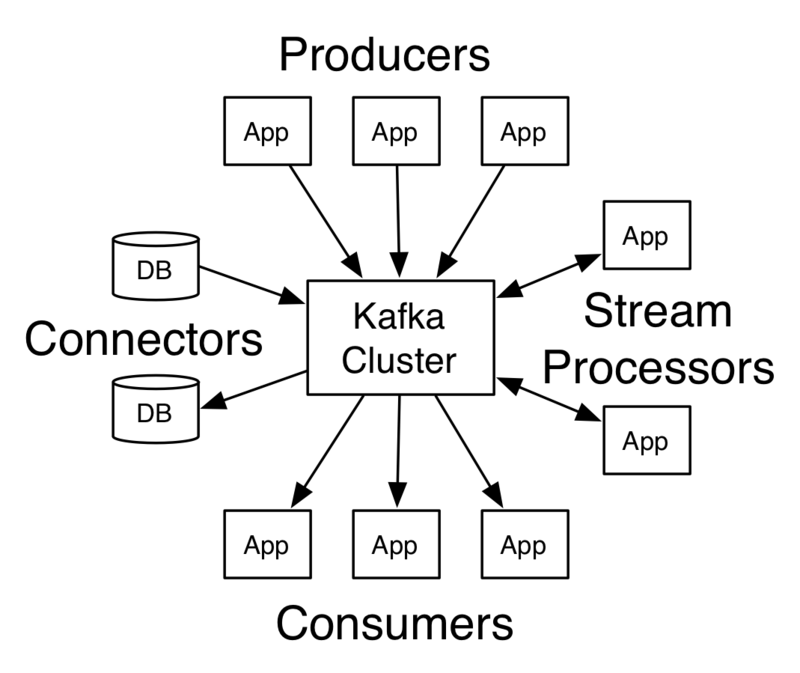 Apache Kafka is an open-source streaming platform that was initially built by LinkedIn. It was later handed over to Apache foundation and open sourced it in 2011. Apache Kafka is an open-source stream-processing software platform developed by the Apache Software Foundation, written in Scala and Java. The project aims to provide a unified, high-throughput, low-latency platform for handling real-time data feeds. Its storage layer is essentially a “massively scalable pub/sub message queue architected as a distributed transaction log,” making it highly valuable for enterprise infrastructures to process streaming data. 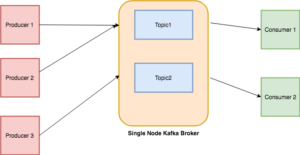 Additionally, Kafka connects to external systems (for data import/export) via Kafka Connect and provides Kafka Streams, a Java stream processing library. Think of it is a big commit log where data is stored in sequence as it happens. The users of this log can just access and use it as per their requirement. Uses of Kafka are multiple. Here are a few use-cases that could help you to figure out its usage. Activity Monitoring:- Kafka can be used for activity monitoring. The activity could belong to a website or physical sensors and devices. Producers can publish raw data from data sources that later can be used to find trends and pattern. 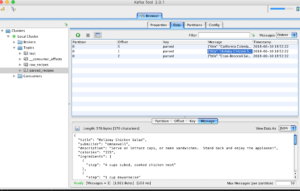 Messaging:- Kafka can be used as a message broker among services. If you are implementing a microservice architecture, you can have a microservice as a producer and another as a consumer. For instance, you have a microservice that is responsible to create new accounts and other for sending email to users about account creation. Log Aggregation:- You can use Kafka to collect logs from different systems and store in a centralized system for further processing. ETL:- Kafka has a feature of almost real-time streaming thus you can come up with an ETL based on your need. Database:- Based on things I mentioned above, you may say that Kafka also acts as a database. Not a typical databases that have a feature of querying the data as per need, what I meant that you can keep data in Kafka as long as you want without consuming it. Every message that is feed into the system must be part of some topic. The topic is nothing but a stream of records. The messages are stored in key-value format. Each message is assigned a sequence, called Offset. The output of one message could be an input of the other for further processing. Producers are the apps responsible to publish data into Kafka system. They publish data on the topic of their choice. The messages published into topics are then utilized by Consumers apps. A consumer gets subscribed to the topic of its choice and consumes data. Every instance of Kafka that is responsible for message exchange is called a Broker. Kafka can be used as a stand-alone machine or a part of a cluster. The easiest way to install Kafka is to download binaries and run it. Since it’s based on JVM languages like Scala and Java, you must make sure that you are using Java 7 or greater. Kafka is available in two different flavors: One by Apache foundation and other by Confluent as a package. For this tutorial, I will go with the one provided by Apache foundation. By the way, Confluent was founded by the original developers of Kafka. Kafka relies on Zookeeper, in order to make it run we will have to run Zookeeper first. it will display lots of text on the screen, if see the following it means it’s up properly. And if you see the following text on the console it means it’s up. Messages are published in topics. Use this command to create a new topic. ➜ kafka_2.11-1.1.0 bin/kafka-topics.sh --create --zookeeper localhost:2181 --replication-factor 1 --partitions 1 --topic test Created topic "test". You can also list all available topics by running the following command. As you see, it prints test. Next, we have to send messages, producers are used for that purpose. Let’s initiate a producer. It shows you a > prompt and you can input whatever you want. Looks like the encoded data or delimiter separated, I am not sure. If someone knows this format then do let me know. 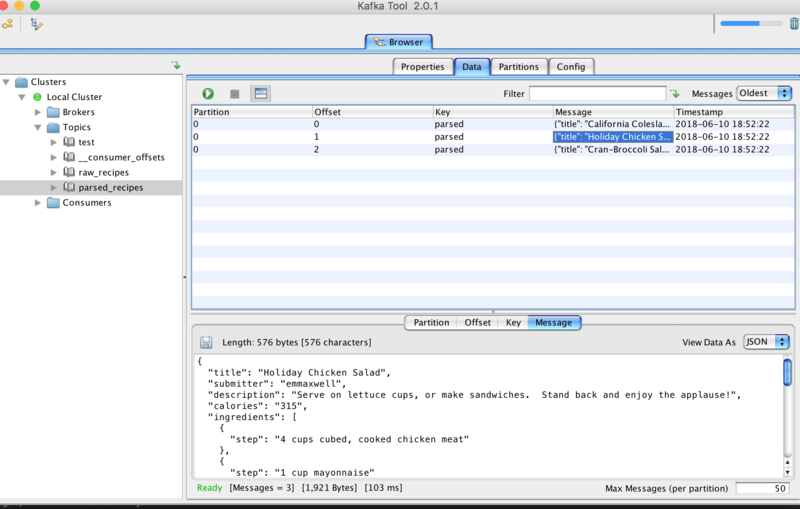 Anyways, Kafka provides a utility that lets you examine each incoming message. You can see the message with other details like offset, position and CreateTime etc. Messages that are stored should be consumed too. Let’s started a console based consumer. If you run, it will dump all the messages from the beginning till now. If you are just interested to consume the messages after running the consumer then you can just omit --from-beginning switch it and run. The reason it does not show the old messages because the offset is updated once the consumer sends an ACK to the Kafka broker about processing messages. You can see the workflow below. Kafka-Python – An open-source community-based library. PyKafka – This library is maintained by Parsly and it’s claimed to be a Pythonic API. Unlike Kafka-Python you can’t create dynamic topics. Confluent Python Kafka:- It is offered by Confluent as a thin wrapper around librdkafka, hence it’s performance is better than the two. For this post, we will be using the open-source Kafka-Python. raw_recipes:- It will be storing the raw HTML of each recipe. The idea is to use this topic as the main source of our data that later can be processed and transformed as per need. parsed_recipes:- As the name suggests, this will be parsed data of each recipe in JSON format. The length of Kafka topic name should not exceed 249. The first program we are going to write is the producer. 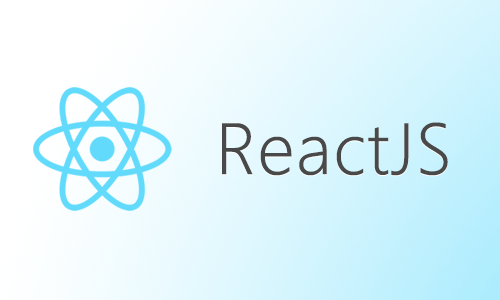 It will access Allrecpies.com and fetch the raw HTML and store in raw_recipes topic. This code snippet will extract markup of each recipe and return in list format. Error encountered when producing to broker b'adnans-mbp':9092. Retrying. We will now add two methods:connect_kafka_producer() that will give you an instance of Kafka producer and publish_message() that will just dump the raw HTML of individual recipes. 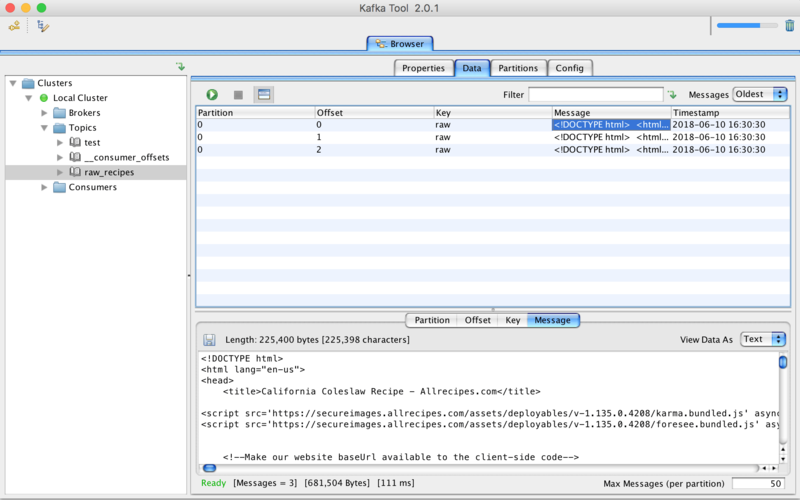 I am using a GUI tool, named as Kafka Tool to browse recently published messages. It is available for OSX, Windows and Linux. The next script we are going to write will serve as both consumer and producer. First it will consume data from raw_recipes topic, parse and transform data into JSON and then will publish it in parsed_recipes topic. Below is the code that will fetch HTML data from raw_recipes topic, parse and then feed into parsed_recipes topic. After this, I am using same routines to connect producers and publish parsed data in the new topic. 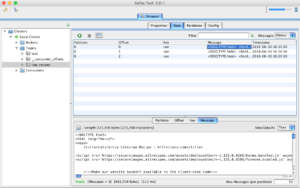 KafaTool browser gives glad tidings about newly stored messages. So far so good. We stored recipes in both raw and JSON format for later use. Next, we have to write a consumer that will connect with parsed_recipes topic and generate alert if certain calories critera meets. The JSON is decoded and then check the calories count, a notification is issued once the criteria meet. 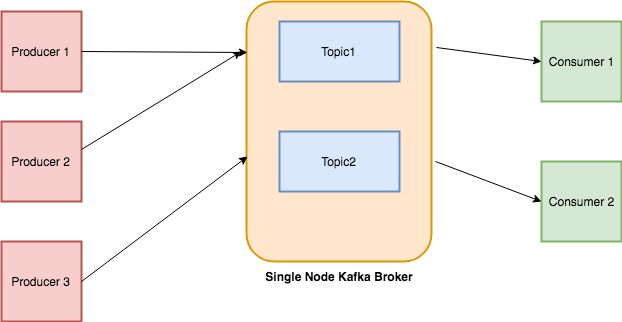 Kafka is a scalable, fault-tolerant, publish-subscribe messaging system that enables you to build distributed applications. 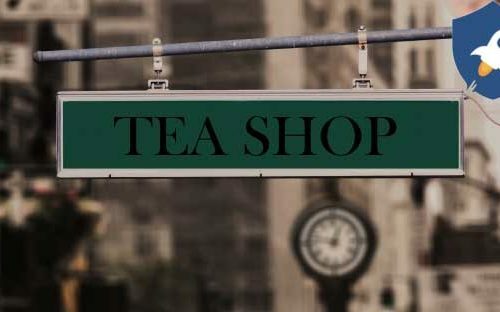 Due to its high performance and efficiency, it’s getting popular among companies that are producing loads of data from various external sources and want to provide real-time findings from it. I have just covered the gist of it. Do explore the docs and existing implementation and it will help you to understand how it could be the best fit for your next system.